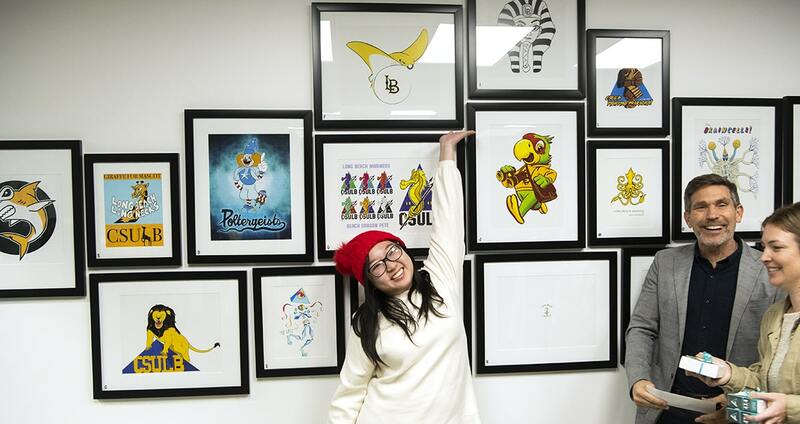 Artist Vivian Nghiem's "Shira Stingray", was the readers' choice winner of the Post's Unofficial CSULB Mascot Contest. It ma very well be the official winner soon. 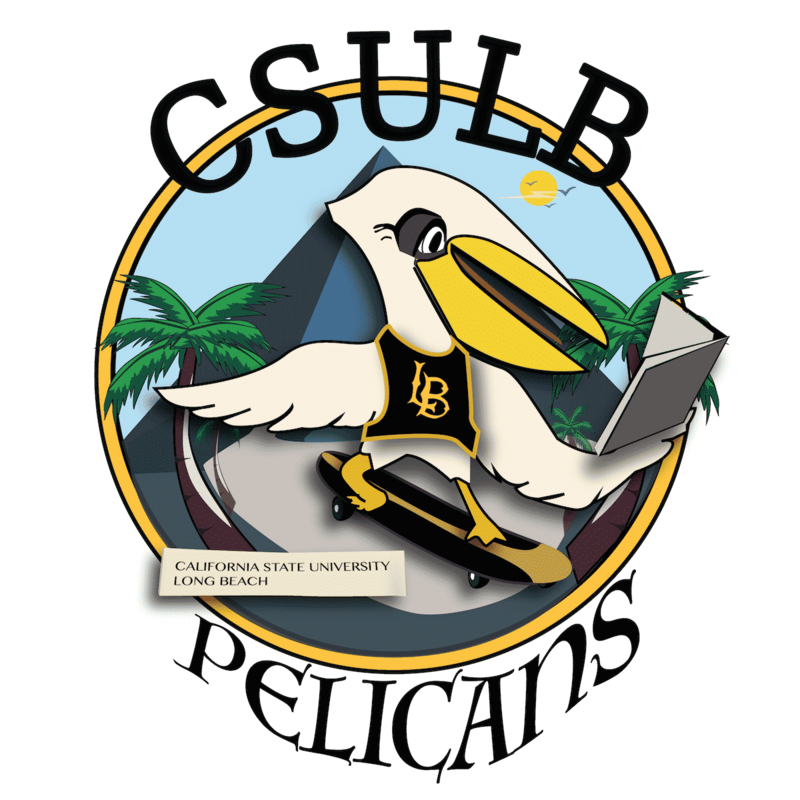 Nearly 4,000 votes were cast during the Post’s Unofficial, Unlicensed UNOFFICIAL CSULB Mascot Contest and the results are in. 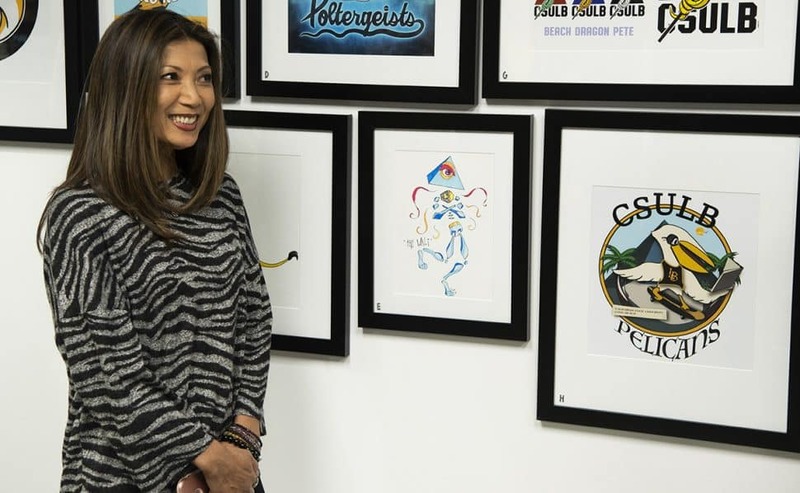 Awards were presented to the artists on Friday evening, Feb. 8. Vivian Nghiem’s Shira Stingray won the readers’ choice category with 878 votes, with finalists Alexander Villalobos’ The Hammerheads in second with 704 votes and Liza Negrete’s The Pelicans in third with 414 votes. 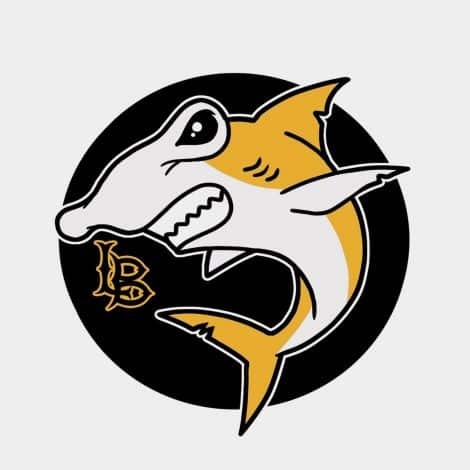 As for the judges’ categories—selected through heated discussion by Arts Council for Long Beach Executive Director Griselda Suarez, The 49ers Sports Editor Kevin Colindres, Long Beach Post Arts & Culture Editor Steve Lowery and Arts & Culture Reporter Asia Morris—The Hammerheads won the “Most likely to be an actual mascot” category, Dave Van Patten’s Brain Cells took the cake for “Funniest” and last, but not least, the “Most artistic” award was given to Karla Hernandez’ “The Krakens”. 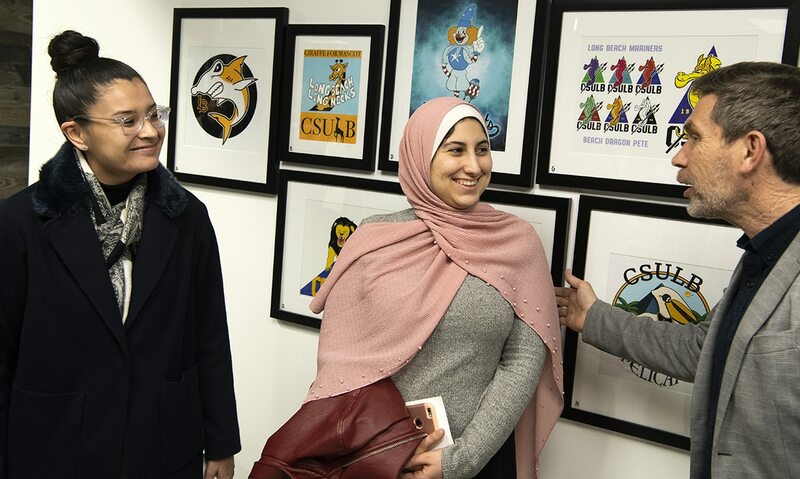 Winners were presented with gift certificates to Graphaids Art Supply (support your local art supply store) and given a fresh canvas and paint brushes. 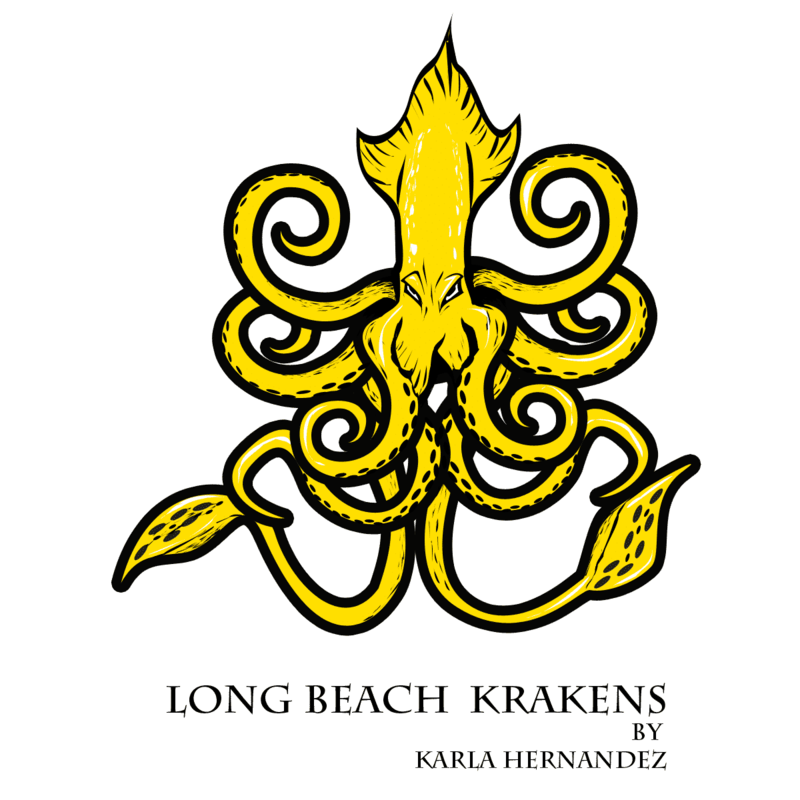 The submissions will displayed in the Long Beach Post’s gallery at 211 E. Ocean Boulevard, Ste. 400 through Friday, May 31. 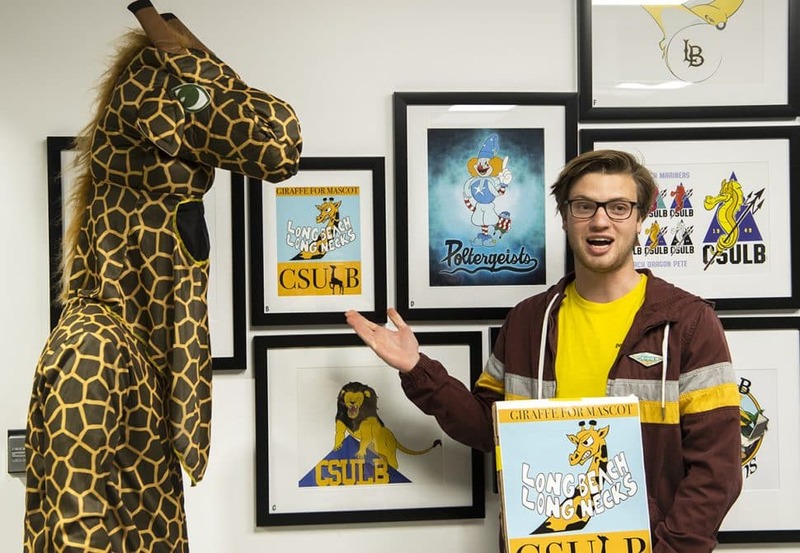 Stop by to check them out Monday – Friday, 9 a.m. to 5 p.m.
Long Beach Long Necks by Dominic Hure talks about his art piece in the Long Beach Post’s Unofficial, Unlicensed CSULB Mascot Contest in Long Beach Thursday, February 8, 2019. Photo by Thomas R. Cordova. 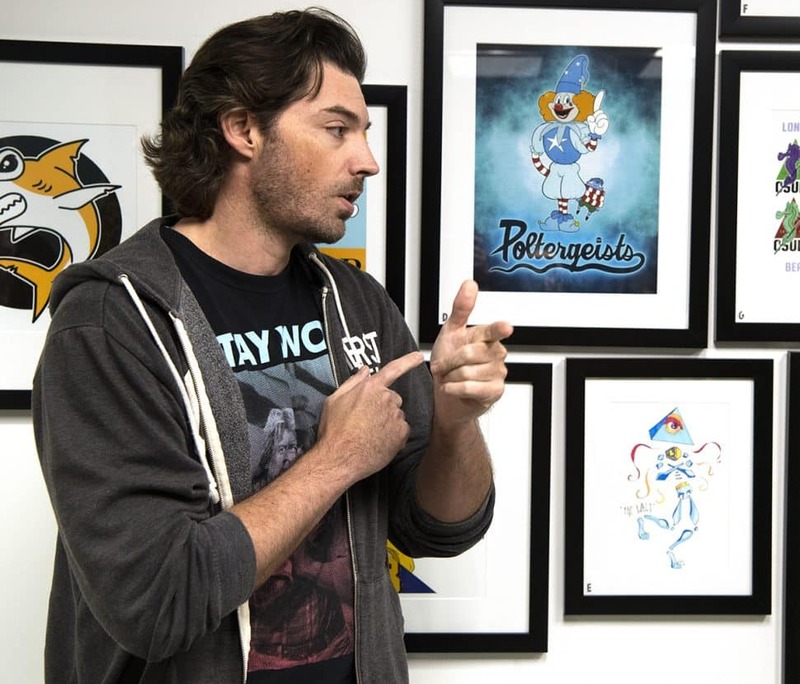 The Walt by Curtis Herod talks about his art piece in the Long Beach Post’s Unofficial, Unlicensed CSULB Mascot Contest in Long Beach Thursday, February 8, 2019. Photo by Thomas R. Cordova. The Pelicans by Liza Negrete talks about her art piece in the Long Beach Post’s Unofficial, Unlicensed CSULB Mascot Contest in Long Beach Thursday, February 8, 2019. Photo by Thomas R. Cordova. 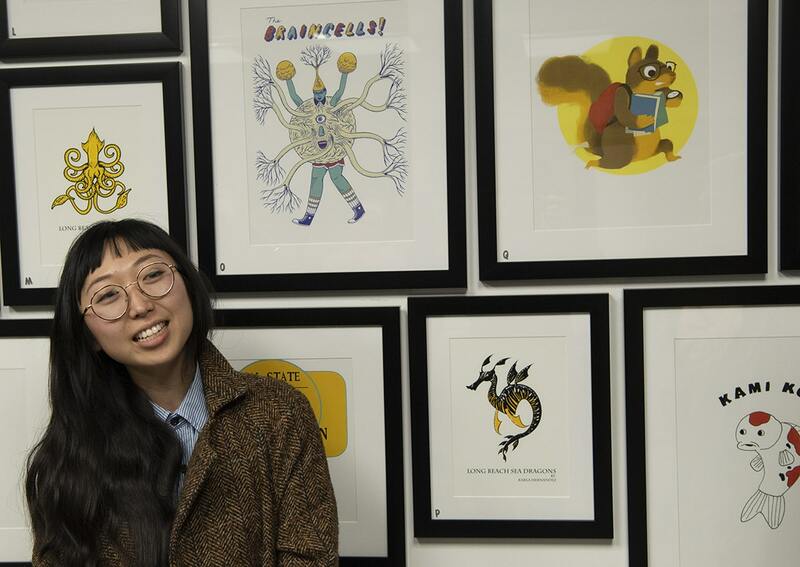 The Late Squirrels by Ellen Marie Bae talks about her art piece in the Long Beach Post’s Unofficial, Unlicensed CSULB Mascot Contest in Long Beach Thursday, February 8, 2019. Photo by Thomas R. Cordova. The Long Beach Post’s Unofficial, Unlicensed CSULB Mascot Contest in Long Beach Thursday, February 8, 2019. Photo by Thomas R. Cordova. 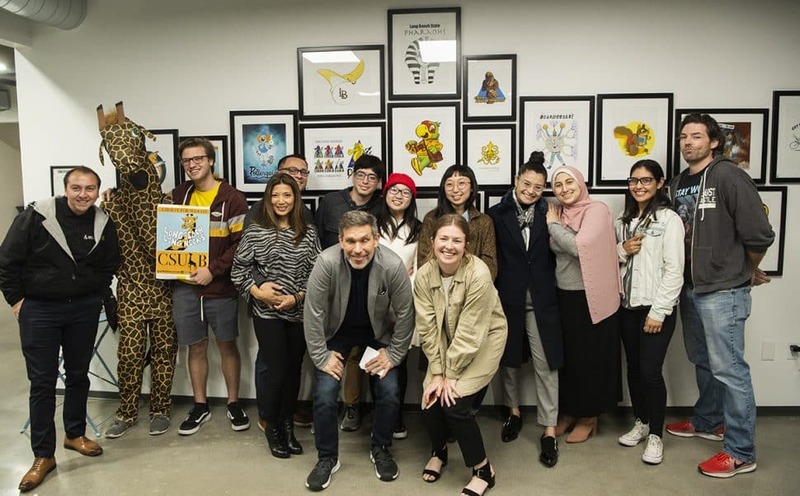 The artist and supporters of The Long Beach Post’s Unofficial, Unlicensed CSULB Mascot Contest in Long Beach Thursday, February 8, 2019. Photo by Thomas R. Cordova.